We’ve been a trusted leader in the online retail space since 2001, after pioneering experiential gifting in Australia. We connect customers with over 5000 unique and amazing experiences, sourced from more than 1500 business partners across Australia and New Zealand. We've come a long way from our humble beginnings – born in the front room of Founder Naomi Simson's family home, with little more than a second hand computer, her canine companion Dexter and $25,000 in family savings. RedBalloon was an experiment to test whether a company could be successful simply by listening to its people and customers and delivering a great experience to both, and we remain committed to this 15 years on. RedBalloon is the marketing partner of thousands of small businesses - we not only deliver customers but also provide business tools, education and digital marketing expertise to those listed with RedBalloon. When business partners are successful then so is RedBalloon. We're an Australian small business, supporting other small businesses and together we are all stronger. It's never been harder to get a customer than it is today. When I started RedBalloon it cost five cents to acquire a customer. It now costs upwards of $20. And that's the same for every business, regardless of their size or business acumen. RedBalloon supports 1500 business owners nationally to help find and keep these customers. They don't have to be experts in marketing or merchandising or SEO - they just have to deliver a great experience to their customers and we will do the rest. We've delivered 3.5 million customers to our business partners. That’s the real impact we’re making and that’s why RedBalloon is an important voice for the millions of small business owners across this country." After 8 years as an IT Management Consultant, David plunged head first into the deep ‘soapy’ water of entrepreneurship starting in Australia to eventually running the global business IMO Car Wash and washing 34 million cars across the globe each year. After a successful exit, David’s relentless commitment to the customer experience brought him to Redii. First as a consultant and now as CEO. In April 2017, already in the role of Redii CEO, David took the courageous leap of getting deeper into the Big Red Group (BRG) and partnership with founder Naomi Simson. David is incredibly excited to be joining and leading the RedBalloon team as part of the BRG, as they continue 15 years of great work delivering memorable experiences and supporting Australia's small business community. We know her from Channel Ten’s Shark Tank and as the best selling author of 'Live What You Love' and Ready to Soar. But she has many labels: entrepreneur, author, blogger, speaker, innovator and a passionate individual to name a few. Naomi founded one of Australia’s best tech success stories, RedBalloon, in 2001. 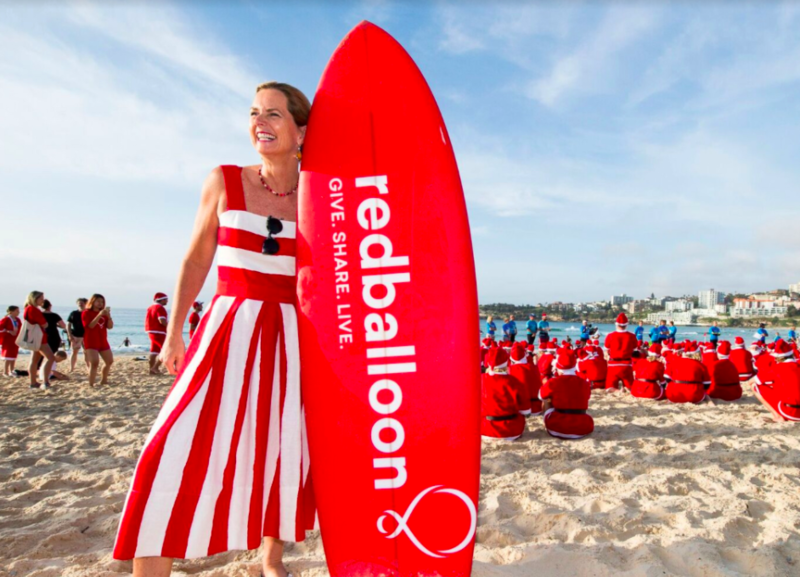 As the marketing partner of thousands of ‘things to do’ businesses, RedBalloon has delivered more than 3.5 million customers to more than 1500 businesses across Australia. Before founding RedBalloon Naomi worked as a marketer with a number of big corporate brands, which influenced her views on workplaces and led her to become a champion of great employee experience. So in 2015 the employee reward and recognition platform Redii.com was born out of RedBalloon - with a vision to support other SME’s to grow, through harnessing the power of their greatest asset, their people. Naomi has written more than 1000 blogs posts at naomisimson.com and is ranked in the world's top LinkedIn Influencers with almost 2 million followers. We had the cars and RedBalloon was our highway; accelerating our expansion and encouraging us to invest to make the experience available Australia-wide. Thanks to RedBalloon's marketing savvy... in the last decade we’ve built 27 cars, contracted over 200 professional instructors and 500 part-time employees, delivering the 70,000 experiences our clients have purchased through RedBalloon. It’s hard to really measure the economic contribution of RedBalloon to our business. The Big Red Group (BRG) provides management and services to its subsidiaries RedBalloon, Redii, The Huddle and Marketics. Each of these entities delivers services to business owners - whether it’s marketing and online retail, helping employees thrive or education and information programs. BRG companies are focussed on the success of other businesses. 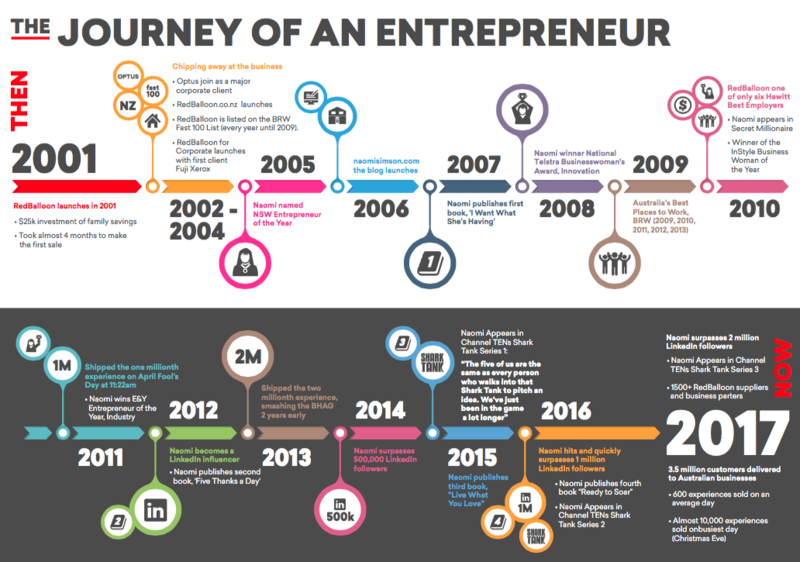 In essence we know how difficult it can be to grow and scale a business consistently; co-founders Naomi Simson and David Anderson have built many businesses during their careers and they know the challenges business owners face. Both Naomi and David are passionate about supporting Australian business owners. Through the Big Red Group they inspire leadership, thriving workplaces and commercial outcomes for business owners, which in turn leads to economic growth for all. Business ownership is integral to overall wellbeing.